BabyNaturopathics.com - Erzi Germany Wooden Play Food Set for Toddlers - Baby Naturopathics Inc.
You can earn 49 bnReward Points on this product! Erzi My First Favorite Dish is crafted in Germany. 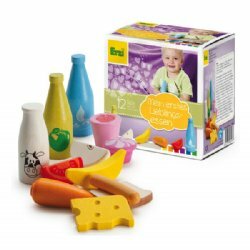 Erzi uses safe, water-based dyes to decorate their wooden toys.